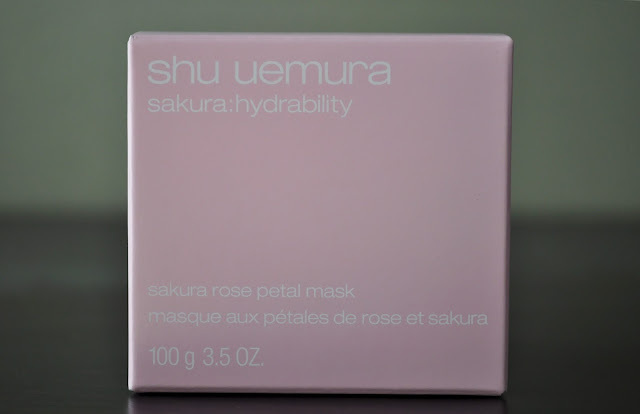 When I got the email from Shu Uemura Japan, announcing the release of their Sakura: hydrability sakura rose petal mask, I thought, "this is going to be perfect for the cherry blossom season." Cute, simple pink box packaging. 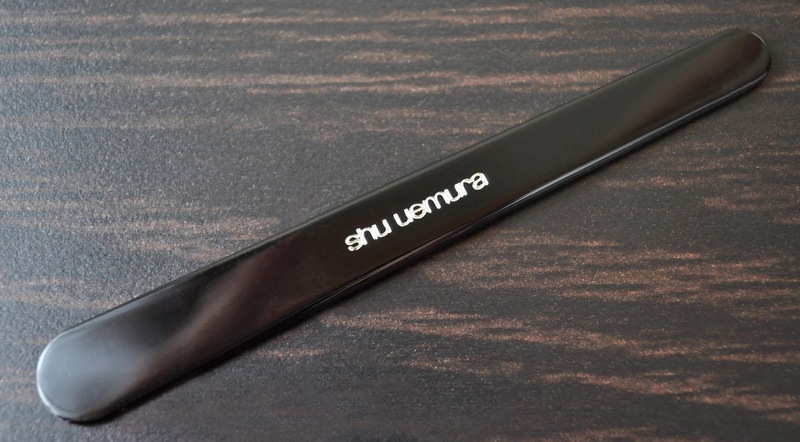 For sanitary purposes, the mask comes with this adorable, engraved spatula. Not the most attractive looking mask. Enriched with sakura leaf extract, rose essential oil, rose extract and real rose petals, the Sakura: hydrability is a gel mask suited for all skin types. Some cosmetic benefits of Rose are: it boosts hydration, reduces redness and inflammation, and softens the skin. 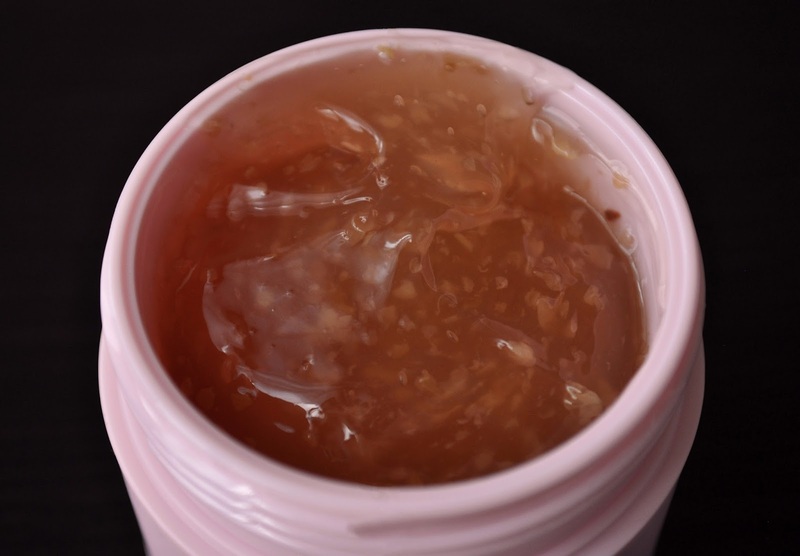 Whereas Sakura, has a brightening effect, improves skin texture, and prevents early aging. Btw, the product does contain real petals. So, don't be alarmed if you find bits of black particles floating about. Also, the mask has a refreshing cherry and rose scent. I'm not particularly found of rose scents, but the Sakura balance it out. "After cleansing, on a dry face, take an appropriate amount (7ml) and apply gentle on the skin, avoiding the eyes and lip areas. Leave for 5 to 10 minutes and rinse off. To be used 2 to 3 times a week." I've been using the mask twice a week (Sundays and Wednesdays) for over two months now, and I do enjoy the effect the mask has on the appearance, and condition, of my skin; however, I'm not wowed by it. After patting my face dry, my skin feels velvety smooth, and looks fresh and healthy. Also, my skin is hydrated, but I don't feel as if the Sakura: hydrability is adding any extra moisture to my skin. Therefore, I'm left a little wanting in that department. 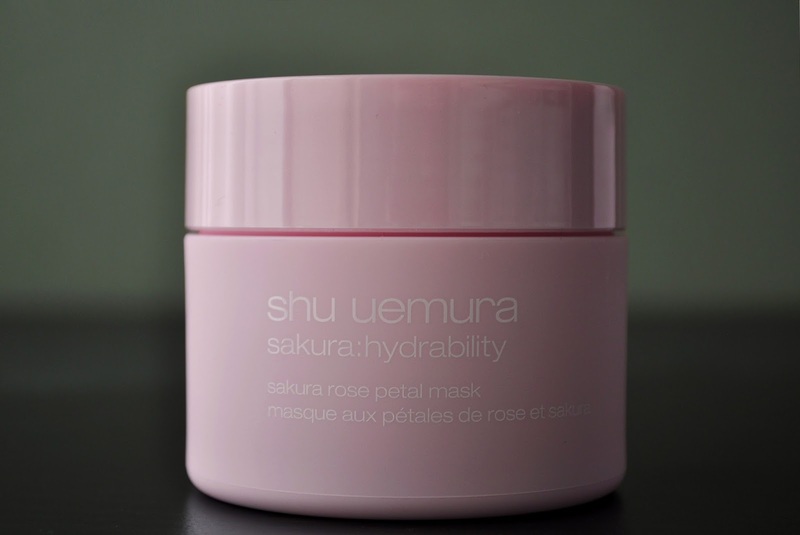 The Sakura: hydrability sakura rose petal mask contains 100g/ 3.5oz and retails for 7,344 yen. Although still available on, both, the US and Japan sites, this mask is limited edition.